Here are a few things that make Anchor different (and better) than the rest. Hosting costs shouldn’t be the reason you don’t have a podcast. We don’t believe in charging creators to make or store their content. 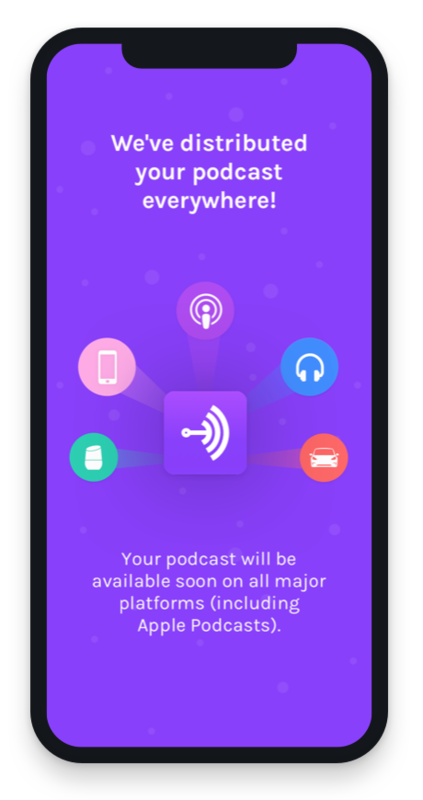 Our mission is to democratize audio, making sure podcasting is accessible to everyone on the planet, so Anchor is completely free to use. No storage limits; no trial period; no strings attached. And nope, we don’t take any sort of payment information from you at any time. Wondering how can Anchor possibly be free? 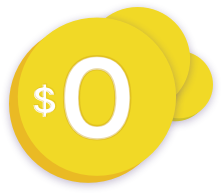 The real question is, why aren’t other podcast hosting services free? Read more from our co-founder. Unfamiliar with RSS? Cool, let’s keep it that way. 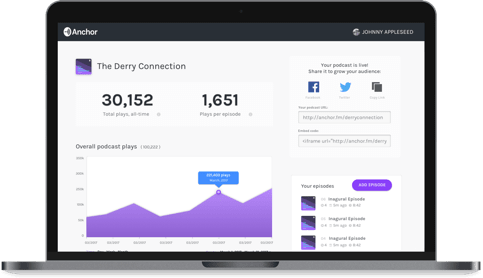 Easily distribute your podcast to every major podcast platform, including Apple Podcasts, Google Podcasts, and Spotify. (For a full list of currently supported platforms, click here - but we’re adding new ones all the time!) All it takes from you is one click; we handle everything else. Not sure which of these platform links to share with your listeners? Just share your Anchor profile, and they can choose to listen on whichever podcast app they prefer. Prefer to manage your RSS feed and distribution yourself? No problem. Our One-Click Distribution is completely optional. We’ll do the work of matching you with great brands who are interested in sponsoring your show. You decide which brands you want to work with, which episodes you want to monetize, and where in your episodes you want your ads to appear. All Sponsorships ads are read by you, so you can blend them seamlessly into your show. Then, get paid whenever people listen! You can learn more here. 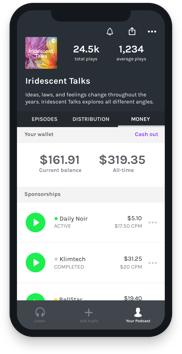 Add a button on your Anchor profile that lets any listener sign up for monthly donations to help keep your podcast going. They don’t even need an Anchor account to subscribe. Learn about your audience growth and easily track how your episodes are performing over time with Anchor’s easy-to-read analytics dashboard. See things like your plays over time, how episodes stack up to each other, and which apps people are using to listen. The best microphone is whichever one you have with you. Use Anchor’s recording tools on mobile (iOS and Android), iPad, or desktop web to easily record your voice with no extra equipment required. (If you want to, of course, you can also plug in an external microphone to any of these devices.) 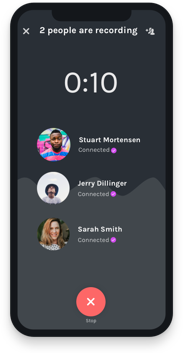 On mobile, you can invite anyone to record with you – multiple people can join at a time, and they can be in any country in the world, as long as they have the Anchor app installed. An easier, more intuitive way to make your podcast. 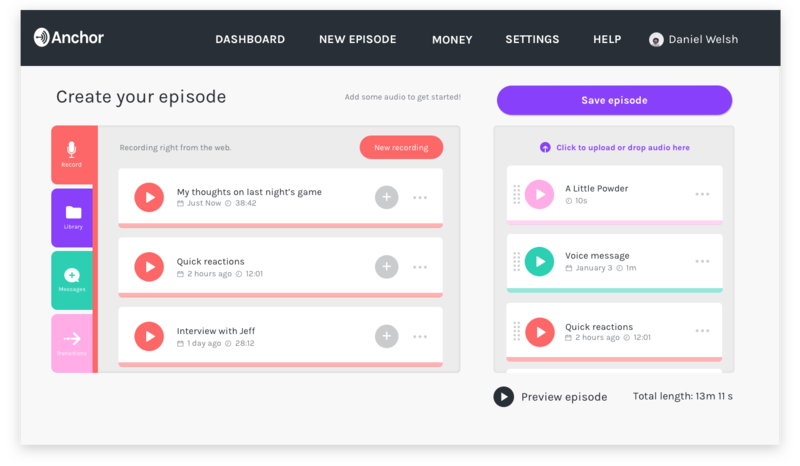 The Anchor episode builder helps you craft your episodes using a visual list of segments, no editing required. Record, add other types of audio (like transitions or voice messages from your listeners), rearrange your segments however you want, and you’re done. There’s never been a more intuitive way to build a podcast episode. Everything you need to make your podcast to sound great. No tutorials required. After recording or importing audio, easily edit it right from your iPhone, iPad, or Android device (coming soon to Anchor’s desktop web experience). Because our editing tools were designed specifically for podcasting, they’re uncomplicated and easy to learn. Just trim the start/end of your audio and remove whatever segments you don’t want to keep, and you’re done! Take voice messages from your listeners. Gone are the days where you need to recite a phone number for your listeners to call into to leave voicemail. All they need to do is tap a button to send you an Anchor voice message. You can see who each one is from and the title of the voice message so you can quickly find what you’re looking for. Then, just add your favorites to your next episode with a single tap! Import or upload existing audio. Add transitions, sound effects, and background music. 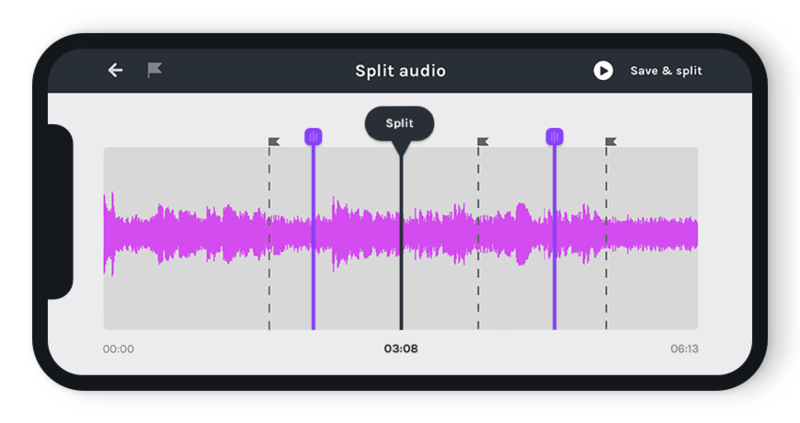 With Anchor, you can easily add background tracks behind any segment or break up longer recordings using our library of built-in transitions and sound effects. Everything’s just a tap away! Add music from Apple Music or Spotify (playable in Anchor only). Search for any song on Apple Music or Spotify and add it to your episodes as a bonus for your listeners on Anchor. Share video highlights of your podcast on social. 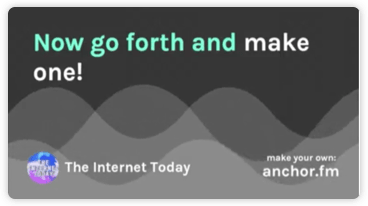 We automatically transcribe all audio uploaded to Anchor, so any time you want to promote your podcast you can easily share a beautiful, animated video to your social networks or to YouTube. You can export these videos in sizes perfect for Twitter, Facebook, or Instagram (feed or stories!). 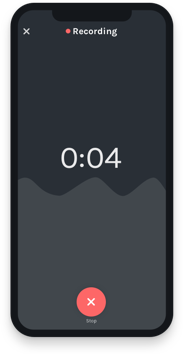 Because your shared video is transcribed, your followers will be able to get a sense for what’s in your episode, even if their device is muted. Move your podcast to Anchor and never pay for hosting again. Our easy import tool makes it completely painless to move your podcast over from your old host. You’ll retain your existing presence on all listening apps, and you’ll be able to make future episodes right from Anchor.